Johnny Manziel has signed a player agreement with the AAF and will join the Memphis Express, according to a release from the Alliance. CBS Sports was able to confirm that Manziel would be joining the start-up professional football league after ESPN's Adam Schefter first reported that the quarterback had signed a player agreement. Manziel will be immediately eligible to play for the Express, an AAF spokesperson said. "We are pleased to welcome Johnny Manziel to Alliance of American Football, which we've always described as a league of opportunity for talented players to launch or revitalize their pro football careers," said Head of Football Bill Polian in a statement. "We completed extensive background work to determine whether it would be appropriate for Johnny to play this season, and after consulting with many people familiar with his situation, we concluded that it would be good for him to resume his pro football career here at The Alliance." Memphis, which currently has the lowest win percentage in the Alliance, had the first opportunity to get Manziel after the Commanders released his rights. The Express lost to the Salt Lake Stallions 22-9 in Week 6, losing quarterback Zach Mettenberger to an apparent ankle injury on their first offensive play. "When I took this job as general manager of the Commanders there were foundational experiences from my career as a player and as a broadcaster that I would not deviate from," said San Antonio general manager Moose Johnston in a statement. "There were also things that I would have to learn from my experience on the job. One of the most important things I have already learned is when there is an opportunity to get better … you get better. The challenge is finding the balance in what I know and what I have learned and finding the best solution to get better as a team. I truly believe that the moves necessary to add Johnny to our roster do not make us better at this time. "I wish Johnny all the best with the Alliance of American Football and we look forward to competing against him in the future." Manziel was released by the Montreal Alouettes of the Canadian Football League earlier this month. According to a release from the CFL, Manziel "contravened the agreement which made him eligible to play in the league." The CFL also effectively barred Manziel from joining any other team in the league. The nature of Manziel's banishment has not yet been publicly disclosed. 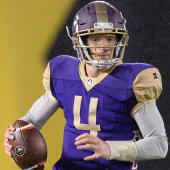 In a conference call with reporters two weeks ago, AAF Head of Football Bill Polian said the league's due diligence on Manziel was roughly 50 percent complete. The statement from the Alliance said that Manziel "will report to Memphis tomorrow, where we all believe he'll benefit from the coaching and mentorship of Mike Singletary."